One of the last things you want to happen in the world is for your furnace to go out in the dead of a Michigan Winter. With overnight temperatures going into the single digits, having no heat can be a life threatening event! Proficient Heating & Cooling has over 22 years experience in the furnace repair business. Whatever problems you may encounter with your furnace, you can rest assured that Proficient Heating & Cooling has the expertise and know how to fix your furnace in a timely and cost effective manner. Proficient will come out to your home with vans stocked with furnace repair parts and accessories. We should be able to handle your furnace problem with what we come with but if you have a problem with hard to find furnace parts, we will do our best to find those parts so that we can get your heating system back on line. Your satisfaction is our number one goal! Proficient Heating & Cooling can provide furnace repair and repair or replacement of heat ducts and other components of a heating system. The heating system in your home is a complex system and should have regular maintenance performed. When things break down in the heating system that's when furnaces work inefficiently or not at all. Either way, it costs you money. Proficient Heating and Cooling has the expertise to fix any problem you may encounter with your heating system. Proficient Heating & Cooling has years of experience in the furnace repair business. Furnace service, furnace installation, furnace replacement and furnace sales and service. We provide an extensive furnace service backed by over 22 years of experience. Our family owned furnace services business will treat you like family and will recommend only the services that you need. Our knowledge and experience is what truly sets us apart. Maintaining your furnace is high priority! If you let your filters get clogged or dust build up in your furnace system then the system itself won't work efficiently, costing you money. Proficient Heating & Cooling has 2 furnace maintenance plans available. Residential furnace maintenance plans provide 2 visits per year to your home to keep your furnace running clean and efficiently. Commercial furnace maintenance plans provide 4 visits per year to your building for optimal furnace efficiency and reliability. Furnace maintenance is extremely important to keep your heating system running smoothly. Proficient Heating and Cooling has you covered with it's maintenance programs. 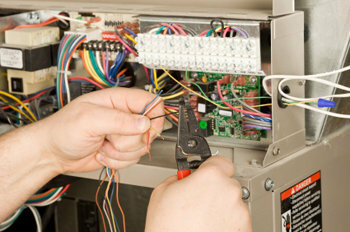 Proficient Heating and Cooling also specializes in furnace installation and furnace replacement. Whether your current furnace is old, worn out or just plain inefficient, Proficient can install a new high efficiency furnace in your home. These new furnaces are much more energy efficient than older models and will save you money going forward just from the energy usage savings. Proficient Heating & Cooling is proud to be a Bryant dealer and can provide a quality furnace for an affordable price.